Rent Victory Hall & Parlor | Corporate Events | Wedding Locations, Event Spaces and Party Venues. Victory Hall & Parlor is located in the SoMa district of San Francisco, just a couple blocks from the AT&T ballpark. Victory Hall features an industrial-meets-nautical theme, with a studded bar, oil lamps and plenty of bar and lounge tables serving specialty cocktails and craft beer. The Parlor is our vintage chic private space with its own bar. A very eclectic design of brick walls, red velvet love seat bar stools and copper ceiling bring the crowds flooding to this space for after work cocktail and social gatherings. 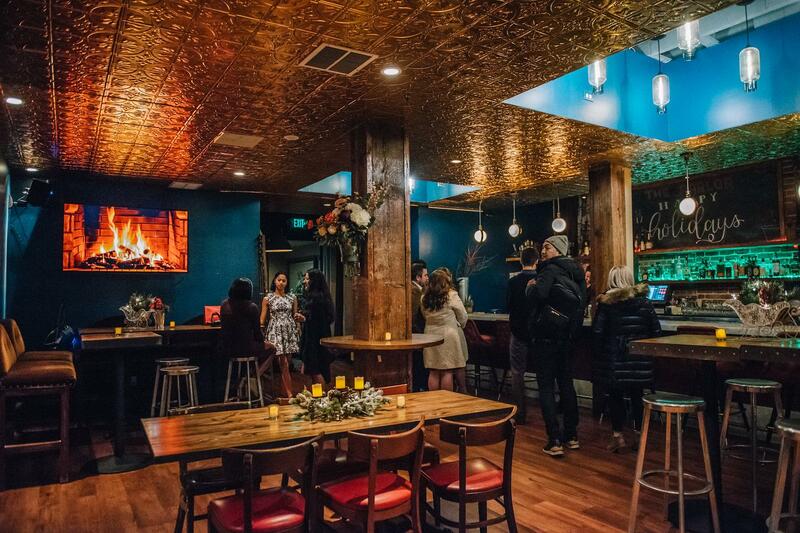 Though Victory Hall & Parlor is known for hosting amazing Happy Hour events, we can also host corporate events, social parties, wedding events and more! We can accommodate groups of 30 to groups of 250 guests. Catering is provided by SOMA's Little skillet! *Event planning services include catering, décor, entertainment, A/V, lighting, staffing and more. We take great pride in our warm and welcoming customer service. Please contact the Events Manager and we will help you organize all your event details and create a proposal customized to your event needs. We look forward to working with you on your next event!